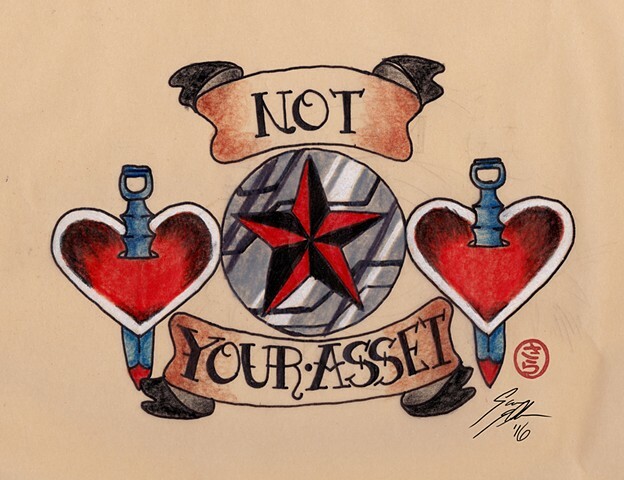 This is a companion to the Captain America tattoo done again in the traditional "Sailor Jerry" style. I didn't use a quote this time instead referring to the name "The Asset" he is called in Captain America: Winter Soldier and the fact in Civil War he wishes to break free from this identity. The knives are modeled after ones the character uses as weapons.